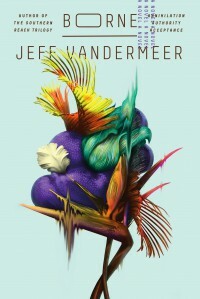 BORNE by JEFF VANDERMEER - Carolyn Cannot Live Without Books! Mutant giant bears - for some reason I didn't get that scared of them. The author must though. One of the book covers looks more like an ape than a bear. Although this book is centered on a small portion of the human population trying to survive, the beginning was kind of sweet. 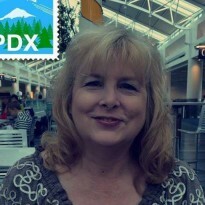 Bahni Turpin did a great job with the narration. And it's opinion that I don't think anyone could have done a better job actually because the voices she gave, especially Borne, were so good. I was surprised at how things changed SPOILER!! [with Borne], which I thought was really sad because I just loved that character. The ending kind of scared me. What if it changed again? I loved the book. I would recommend it.